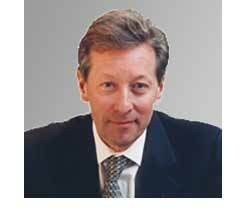 French born and a United States citizen living in New York since 1991, Jean Claude Noel has lived on three continents and has conducted business in different industries and in every part of the world. In addition to his deep understanding of cross-cultural environments, Jean Claude brings to Executive Coaching and Leadership Development a ‘real life’ global experience at Board level. In 2001, building on his interest in the human aspects of organizations, he participated in the first INSEAD/HEC program in Consulting and Coaching for Change, based on Clinical Organizational Psychology. With a thesis on ‘The Human Dimension of Change’, he obtained the HEC Specialized Masters in Consulting and Coaching with Honors. Since then, he has joined the INSEAD Global Leadership Center (IGLC), headed by Manfred Kets de Vries, as Program Director and has been appointed Adjunct Clinical Professor at INSEAD. He currently heads Leadership Development in the EMBA program held in Fontainebleau and Singapore as well as the Asia EMBA developed jointly with Tsinghua University in China. In 2002 he joined Executive Coaching Network Inc (EXCN) in California as International Director and Executive Coach. He is a member of the International Society for the Psychoanalytic Study of Organizations (ISPSO) and is on the Certification Expert Panel of the Worldwide Association of Business Coaches (WABC). He is also an accredited practitioner with Insights. He was on the Advisory Board for the 2004 Conference on Executive Coaching held in New York by the Conference Board and he sits on several Advisory Boards in New York and London. He was a guest speaker on Leadership through Executive Coaching in several international conferences. His most recent corporate role was on the Board of Christie’s International as Group Chief Operating Officer, position he held until the end of 2004, responsible for Operations worldwide and also overseeing Human Resources with a focus on Organization and Leadership Development. In his previous assignment on the Management Board of TNT Express Worldwide as Senior Vice President-International he held overall business responsibility for the Americas, Asia/Pacific and Middle East/Africa, based in New York and was CEO of various subsidiary companies. He has an extensive background in Hospitality, including seven years on the Board of Hilton International as Vice President-Western Europe and Africa, based in Paris and Senior Vice President-The Americas based in New York. He remains involved in this industry as Operating Executive for Global Leisure Partners, a firm specialized in Hospitality, Leisure, Gaming and Luxury Goods in London and New York.